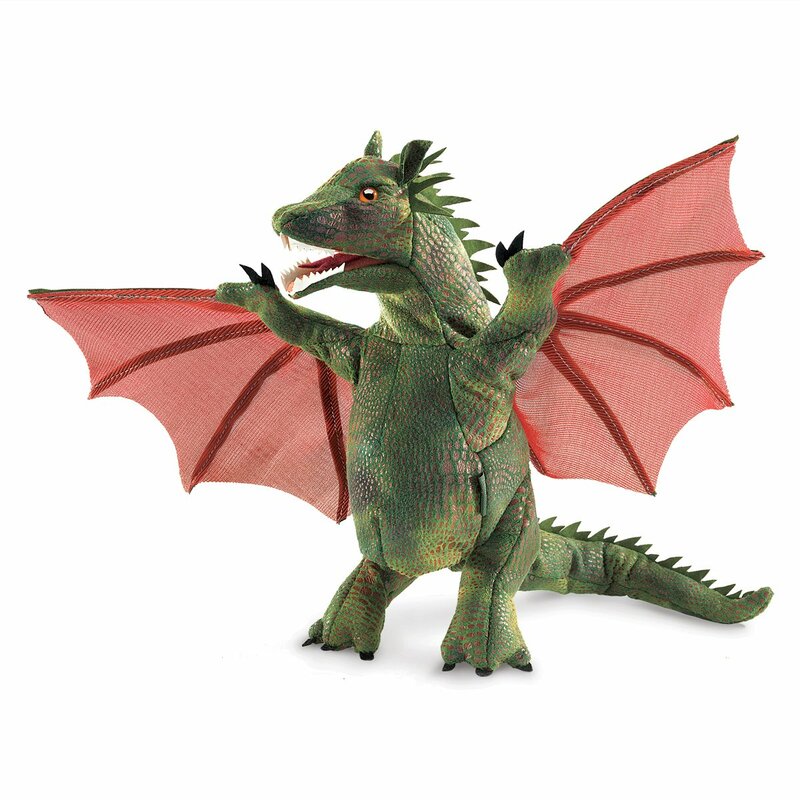 Fierce and bold, this Winged Dragon hand puppet from Folkmanis is a handful offun. Create your own fairytale as you animate the mouth, arms, and wings ofthis magical beast, which features a detailed, plush scaly body plus aswishing tail. Ideal for use in interactive stage and puppet theater,Folkmanis Puppets are also great for teaching, daycare, school, pretend play,games and parties, or to pair with a book for storytelling. Easy to feed andcare for, just add lots of love and snuggly fun. This puppet measures 15 x 12x 9 inches (LxWxH). Folkmanis has been encouraging young imaginations toblossom since 1976 with its innovative and engaging specialty puppets,promoting creativity and discovery while winning nearly every industry, childdevelopment and kid-tested award. Folkmanis has grown to become the premiermanufacturer of plush puppets worldwide, offering over 200 of the mostheartwarming and realistically designed creatures--both exotic and familiar--on the market today. (Birthday: January, 2015).